Autoimmune diseases (ADs) constitute a heterogeneous group of more than 100 pathophysiological conditions in which an immune response against the self is observed. The incidence and prevalence of these chronic diseases are increasing with inherently high social and economic impacts. The currently available therapies generally focus on reducing the activity of the immune system and, therefore, can present severe side effects such as enhanced patient susceptibility to opportunistic infections. Advanced therapies emerged as promising treatments and with real curative potential for ADs. Additionally, the use of natural polymers to engineer gene therapies, cell therapies and/or tissue-engineered medicinal products presents specific advantages. Natural polymers present higher affinity with biological systems than synthetic polymers, and frequently have a chemical structure and motifs similar to those existing in the extracellular matrix of the tissues. They also have good biological performance, making them very strong candidates for advanced therapy medicinal products. 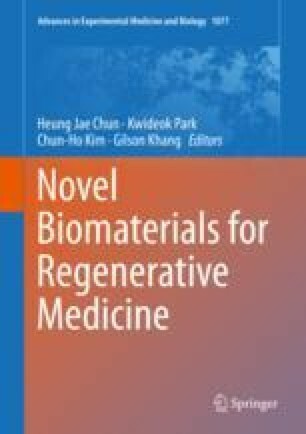 This review discusses the therapeutic advances and provides demonstrative examples of the role of natural-based biomaterials for the development of advanced therapies for ADs. *Author contributed equally with all other contributors.Helena Ferreira and Joana F. Fangueiro. The authors wish to acknowledge the Programa Operacional Norte 2020 under the research project FROnTHERA (NORTE-01-0145-FEDER-000023) and the Fundação para a Ciência e Tecnologia do Ministério da Ciência e Tecnologia (FCT, Portugal) under the research project SPARTAN (PTDC/CTM-BIO/4388/2014). Clinical Trials Gov (2017) https://clinicaltrials.gov/. Accessed in 23/01/2018.